In our family, Christmas has always been a “movable feast.” When I was growing up, my Dad was a police officer and my mum was a nurse, which often meant that one of them would be working over the festive period. This never ruined Christmas for our family. We would celebrate whenever everybody was home whether that was days before or days after the 25th December. Christmas was about family spending time together and celebrating together. Even now myself, my siblings and our respective families descend on my parent’s hospitality at some point during the festive season. It is rarely, if ever Christmas Day itself, but the magic lives on regardless. Now, as I have my own family, we are faced with a similar tradition. The Train Driver will be working this Christmas, yet we will celebrate just the same. This year the 20th of December is our Christmas Day. Buddy is too young to know any different, however we are planning some traditions regardless to ensure that for him this too becomes the norm as he grows. 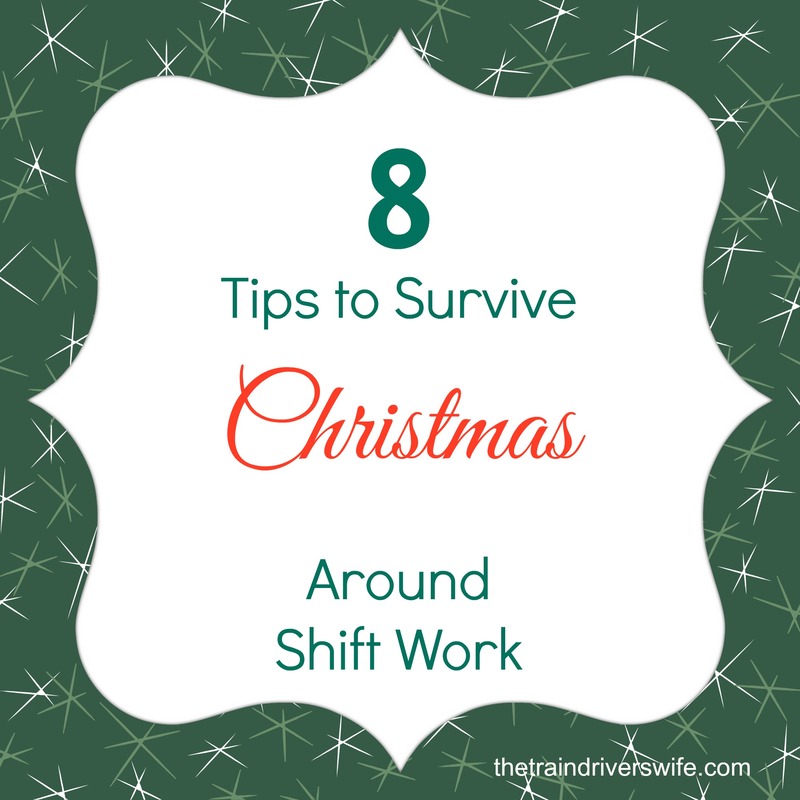 I hope you might find some of these useful if you are also arranging Christmas around Shift Work. Buddy’s advent calendar countdown will start on the 26th November, 25 days before our Christmas day. I feel it is important to build the same excitement and anticipation as we would for a Christmas Day on the 25th December. Similarly, Buddy’s new Elf on the Shelf “Ninnin” will make her first appearance on the 26th November. Buddy will be sending Santa a letter this year asking him to visit early because his Daddy is working. Fortunately for Buddy, Santa is very understanding about shift work. Christmas Eve was a really special night for me growing up. We got to stay up late and watch cheesy Christmas Movies before Midnight Mass. Obviously, we cant attend Midnight Mass on the 20th December (and Buddy is too young at the moment) however we will sit down and watch the Snowman together as a family. Unfortunately, Buddy is a little too young to enjoy my favourite Christmas Eve Movie – Home Alone. After Midnight Mass we were all allowed to open one small gift. Buddy is only getting one gift for Christmas this year, however I will prepare a little Christmas Eve Gift for him to make it extra special. He will have new pyjamas, some (very weak) juice which is he isn’t normally allowed (I’m such a cruel mother) and some of his favourite nibbles. If Santa is making a special trip, just for Buddy, it is only right that we leave him some cookies and maybe even something a little stronger. There will only be an empty plate and a sooty footprint left on our fireplace. We will be preparing a full Turkey Roast with all the trimmings and Buddy’s grandparents are coming for the day too. This is an added bonus for celebrating Christmas on another day, we get both sets of Grandparents at once! How do you manage Christmas around Shift Work? Do you celebrate on the 25th of December or do you create your own Christmas day like we do? Either way, I hope these tips are useful for your family too, and whenever you celebrate, have a Fantastic Christmas! Don’t forget to keep posted for the Adventures of Ninnin, coming next week! It’s great that Santa is so understanding. One year he had to come a few days after Christmas for us– a nasty stomach bug had my husband in the ER on Christmas Eve. I hope your little munchkin has a great holiday!